Adelaide is an Australian city located in the south of the country. The city is considered to be the fifth largest in terms of overall population. The State Government of South Australia has increasingly invested in the tourism infrastructure of the city and contemporarily the city is home to several exotic and beautiful tourist destinations. The most prominent and natural tourist destinations in the city are Cleland Wildlife Park, Gorge Wildlife Park, and the Adelaide Zoo. The parks are home to over 2000 animals and 400 different species including reptiles, mammals, birds, and fish. Moreover, the Botanic gardens of Adelaide exhibit a charm of their own. The gardens are filled with the spectacular Moreton Bay fig trees and different flowers including magnolias, rhododendrons, and the all famous camellias flower. The popular gardens of the city are Mount Lofty Botanic Gardens and Wittunga Botanic Gardens. The festivals of the city are also quite exciting, and filled with joy and delight. The major festivals of the city are Adelaide Beer and BBQ festival, the SALA festival, and Ozasia Festival. Thousands of people from all around the world come to the city to witness these exciting events and Carnivals. The beauty of Adelaide also attracts a large number of guests from the United Kingdom. 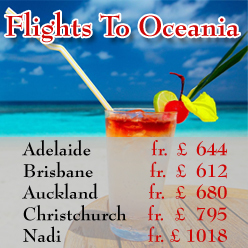 TravelWideFlights is providing its clients with cheap flight deals to Adelaide. Furthermore, our team can also provide the customers with reservations and bookings in the most delightful and luxurious resorts of the city. 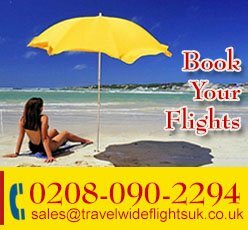 The Airlines traveling to Adelaide are Emirates Airline, Qatar Airways, Singapore Airlines, British Airways, and Etihad Airways.